Check out these great gift ideas for Chicago sports fans of any age. This hardcover book is a colorful look back at the best team in Bears history through the eyes of the man that coached them – Mike Ditka. 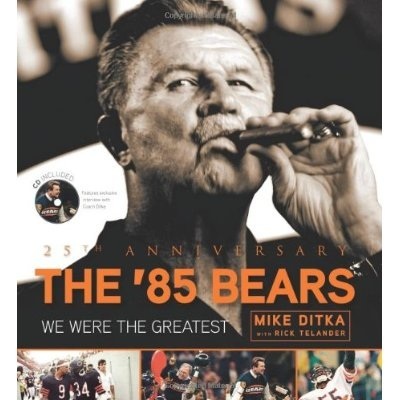 The book includes a DVD with some wonderful historical footage from 1985, and the stories told by Ditka and others bring that memorable team back to life for fans of any age. Any Bears fan should own and enjoy this outstanding piece of Chicago history. This is a fun read that shares some great inside stories from the Bears. McMichael played on some of the greatest teams in Bears history back in the mid-1980s, and has a well-known sense of humor. Any fan of the Bears will find this to be an enjoyable read filled with laughs. Written by long-time Chicago Tribune sports writer Phil Rogers, this is a beautiful look back at a summer that continues to break the hearts of Cubs fans all over the country. Rogers dives into the history of the Cubs to provide fans with a new, intimate look at Mr. Cubs’s place in the history of the great franchise, and the devastation that took place as the 1969 team fell apart down the stretch. 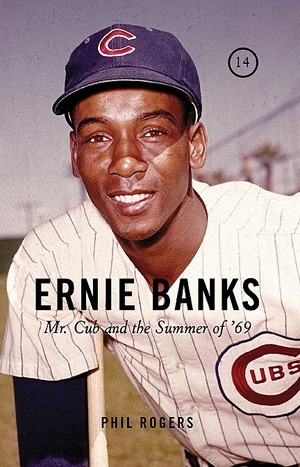 Fans of the Cubs teams in the late 1960s will love this book, but Cubs fans of any age will enjoy the history found inside this fantastic book. Without a question, any Sox fan should own this book. Lindberg captures every aspect of the history of the Sox here in one place. Whether you’re a fan of Minnie Minoso, Carlton Fisk, Frank Thomas or Paul Konerko, you’ll find this book to be a great reference for historical statistics and anecdotes. In the wake of the Hawks winning the Stanley Cup in 2010, their popularity has soared with fans of all ages. Unfortunately, there hasn’t been a lot written about the history of the organization. 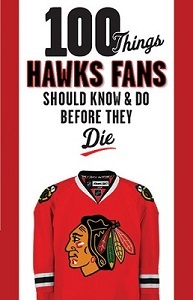 This book provides an overall look at information Blackhawks fans should know, and presents a few experiences every fan should take part in before they die. A must-own for Hawks fans of any age. A colorful look back at one of the most impressive careers in any sport in the history of Chicago, Mikita’s autobiographical work includes a DVD featuring exclusive highlights and interviews. From becoming the first Czechoslovakian-born player in the NHL to the 1961 Stanley Cup victory and beyond, this is an essential book for any Hawks fan. A brilliant, unauthorized biography that looks back at the intriguing life of “The Golden Jet,” this book does a great job of placing Hull in a great historical context. Joyce discusses Hull’s impact on hockey, both on the ice and as a trailblazer for free agency, as well as some stories from Hull’s personal life. Fans of hockey history and the Blackhawks will find this to be a great addition. The Stadium was built to be the greatest arena in the world, and to many fans in Chicago and elsewhere it lived up to that promise for generations. From incredible boxing matches to seeing some of the greatest athletes of all-time perform in hockey, basketball and other sports, this book looks back through the building’s history using incredible photography. This entry was posted in Shopping, Sports and tagged books, chicago, Chicago Bears, Chicago Blackhawks, Chicago Cubs, Chicago White Sox, Christmas, holiday shopping. Bookmark the permalink.